Do you know a young animal lover? Our Junior Zoo Keeper for a Day is the must-do animal experience for them! Junior Keeper for a Day gives you the opportunity to get up close with some of our animals at ZSL London Zoo and get a taster of what life is like as a Zoo keeper! 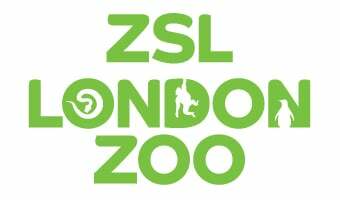 The Junior Keeper for a Day experience at ZSL London Zoo is a day where young people (aged 11-15 years) can work alongside a zoo keeper with a variety of animals who live at the Zoo. It's a great experience for budding zoo keepers to get a behind the scenes look at what really goes on in a zoo keeper's day at the world's most famous Zoo. In a group of up to five children, you will join one of our experienced zoo keepers who will be their host for the experience. Once the children are kitted out in their zoo keeper uniform, including a t-shirt and cap, they will head to the restaurant for refreshments and find out what animals they will help look after. Then it's time to head out into the Zoo for their zoo keeper duties! Please note: Junior Zoo Keepers must be accompanied by a parent or guardian throughout the experience. The accompanying adult will get free entry to the Zoo but will not take part in the experience or access any behind the scenes areas but will be kept busy with lots of great photo opportunities! Junior Keeper for a Day is available for children aged 11-15; children must be accompanied by an adult who will get free entry to the Zoo but will note take part in the experience. Junior Keeper for a Day starts at 9:15am, Monday – Friday during school holidays. We also offer Junior Keeper for Day as a gift voucher. Please visit our online shop here to book as a gift for someone.